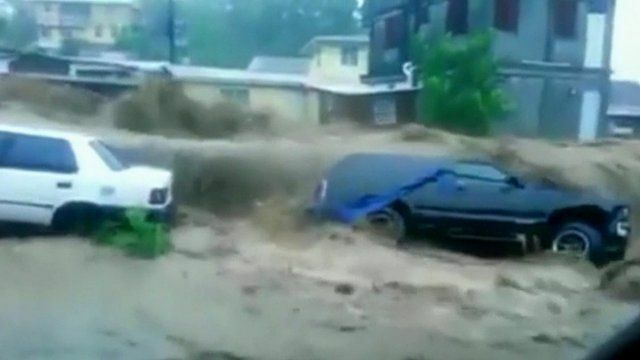 Rescuers are searching for missing people and survivors after tropical storm Erika hit the eastern Caribbean island of Dominica. Communities were hit by flash floods and mudslides, bridges were swept out to sea and debris blocked the main airport as well as key roads. Up to 80% of the island was without power.